Atlanta and Woodstock were hit pretty hard by mother nature over the winter. We experienced some decent amounts of snow, ice, and cold temperatures given our geographic location. Most individuals have probably forgotten about the recent winter weather, however upon further investigation it seems that winter has not left some homeowners and businesses without painful reminders of the harshness that was brought with it. At Hutcheson Horticultural Company, we have seen just how harsh the winter’s snow, ice, and temperatures were for many home and business landscapes. Hutcheson Horticultural Company has had the privilege to help many Woodstock residents recover from the winter damage in their yards. If you are finding that your flowers are not blooming, or your grass is not greening up, it could be quite possible that you too have experienced more than your fair share of winter damage. While this may mean that the landscape is not as bright, cheery, and full of spring as it could be, we are proud to offer solutions to help with winter damage. Our Woodstock landscaping professionals have experience in replacing sod that may have been damaged. We are also fully capable of replanting shrubs, bushes, and flowers that my not have handled the cold temperatures or snow and ice so well. 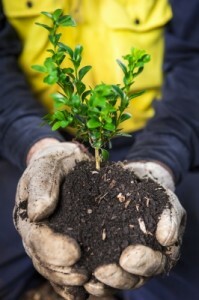 Contact your trusted Woodstock landscapers at Hutcheson Horticultural Company in Woodstock, GA to help your landscape recover from the winter damage that your home or business may be suffering from. We will gladly offer an estimate and help your yard blossom and bloom for spring.